Congratulations Apurvi from MCGS Family. It is indeed a proud moment for all of us ! 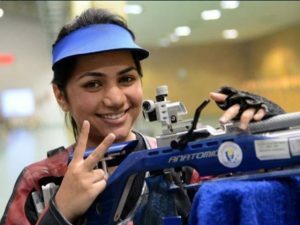 Gold Coast (Australia): Indian shooters Apurvi Chandela wins bronze in women’s 10m air rifle event at the 21st Commonwealth Games (CWG).